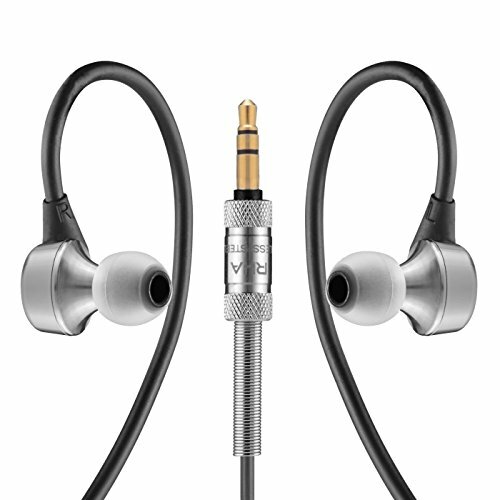 The RHA MA750i is less suited for Android devices, but the inline controls are not necessary to enjoy the awesome sound that these offer. The RHA MA750i in-ear headphone has received positive reviews for its great overall sound, offering a deep and clean undistorted bass and a crystal clear treble. Users also found that it has a big soundstage and it offered good noise isolation when properly fitted in ones’ ear. Users also liked the overall comfortable design and the built-in microphone for answering calls. Users did, however, find that the inline volume controls only worked with certain Android devices as these are designed for iOS. Users also found that where the cord connected to the mic/volume control seemed a bit feeble, suggesting it seemed like it could break if tugged too hard. All-in-all, the RHA MA750i is most compatible with iOS devices and has a lot to offer in terms of sound and performance, but the construction quality is questionable. RHA's MA750i earphones deliver a strong audio performance in a good-looking design, and you get plenty of eartips so you can find the perfect fit.